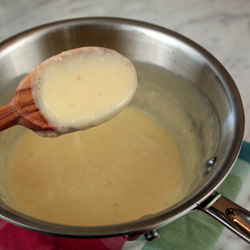 How could you not want to make homemade alfredo sauce? In comparison, it costs less and the taste is way better than any jarred alfredo sauce. I use this sauce usually in my chicken and broccoli bake. That recipe I’ll be posting later on. ~ 1 1/2 to 2 cups of 2% milk(depending on if you like a thicker or thinner sauce for your recipe or you can use skim or heavy cream. Melt butter on low until in liquid form. Don’t get distracted and burn it like I usually do because I am on Pinterest or Facebook lol.Stir in flour until a roux forms. Now is the time to step away from the computer so your roux doesn’t burn.Add in salt and pepper. I usually season to taste. Gradually and constantly stir in milk. Make sure you don’t let the bottom burn. Until the rest of your dinner is prepared make sure you simmer this on low giving is a stir once in a while.